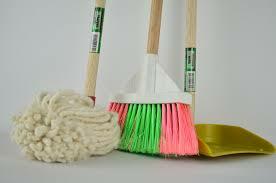 Please read our latest blog posts below and comment on them if you like. If you want to add a new blog topic of your own choosing just email me the content or use the contact page and I will post it asap. 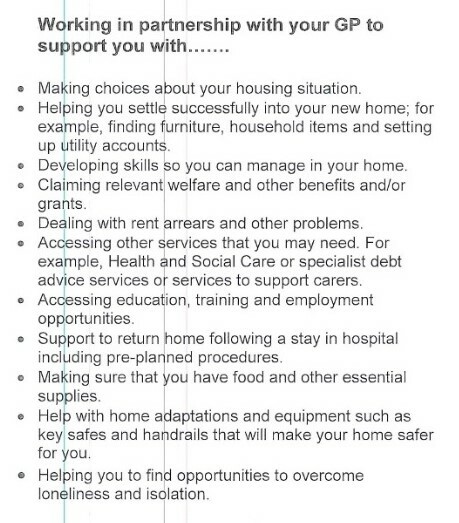 You may be also interested in our Be Involved, Neighbourhood Watch, Events and Classified/Lost and Found blog pages and current issues, please remember that historical posts can be viewed by selecting the drop down menu at the top of the blog home page. 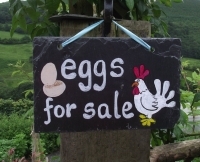 A number of residents in our community are kindly offering kerbside fresh produce such as eggs, fruit, vegetables, jams, etc. However due to a 'customer' taking advantage and liberty as witnessed on CCTV, one such resident is kindly asking that people pay/donate a reasonable amount in return as otherwise they will unfortunately have to withdraw their service, which we think for a village community would be a shame. In the meantime thank you to all the honest users of these services, long may they continue. 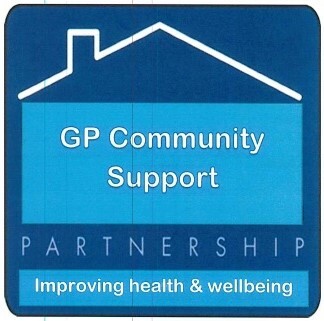 A resident has asked BOB to post "... information about a new initiative called the GP Community Support Service which has been brought to [their] attention as being of use and interest to people in Bleadon. A lot of Weston GPs are involved (this is from Tudor Lodge, Nithsdale Road)." "Lovell are pleased to confirm development works at Wentwood Drive, Weston-super-Mare are due to commence in January 2019. This exciting new development will consist of 50 new 3 and 4 bedroom homes. Please come along to meet our team and ask us questions about the upcoming development. We look forward to seeing you." 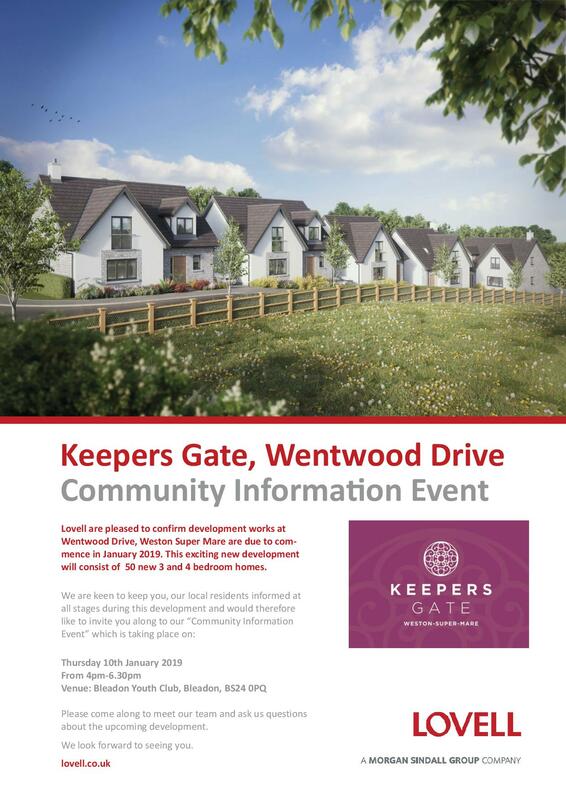 Please see attached invite (above) to the Community Information Event arranged for 10th Jan.
We are sending out letter invites to all surrounding residents, but please can you forward this invite to any other interested parties. 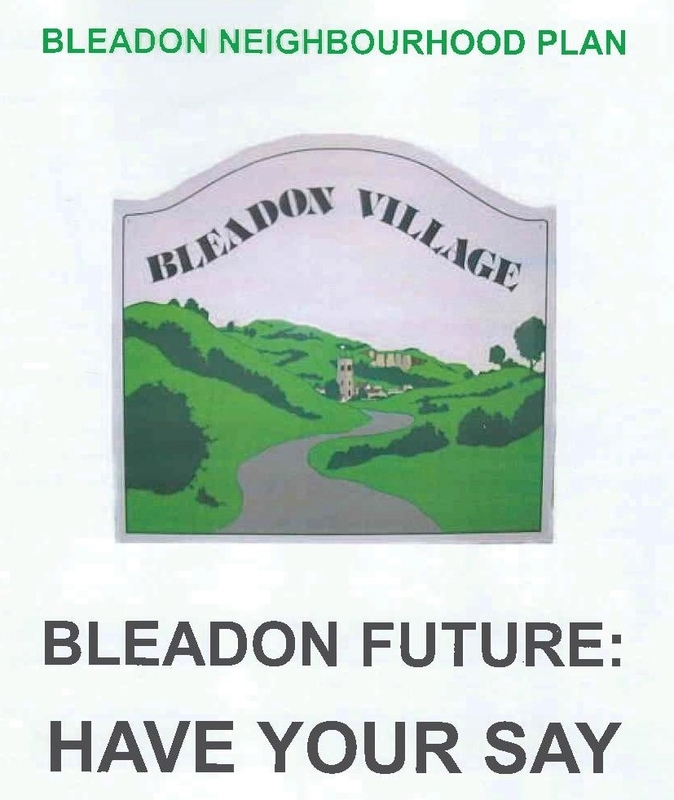 There is a lot of knowledge, experience and memories within the residents of Bleadon, which would be shame to lose. Guy Garvey, on a BBC Radio 4 programme explained an interesting project, "Once he got his dad talking, a wealth of new stories emerged which helped Guy form a deeper bond with his dad and painted a vivid picture of a child in wartime Manchester. When Don died in March 2018, Guy realised how precious these recordings were - not just to him but also to his siblings and future generations of his family. Now he’s on a mission to encourage others to record their parents before it's too late." 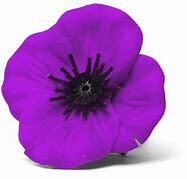 If you'd like to share any information on BOB, attributed or anonymously, please contact us. 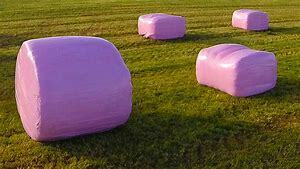 For those of you who are still wondering why pink hay bales are in the fields it is because they are raising awareness for breast cancer. 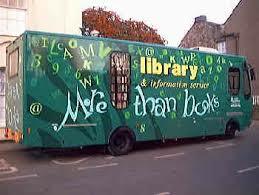 For those who haven't used the mobile library service, it parks opposite Bleadon Church on alternate Fridays between 10:45am and 12:45pm (check Oct-Dec 2018 timetable here). A map of the mobile library locations visited can be seen on the North Somerset website here with additonal information on their Mobile Library webpage. 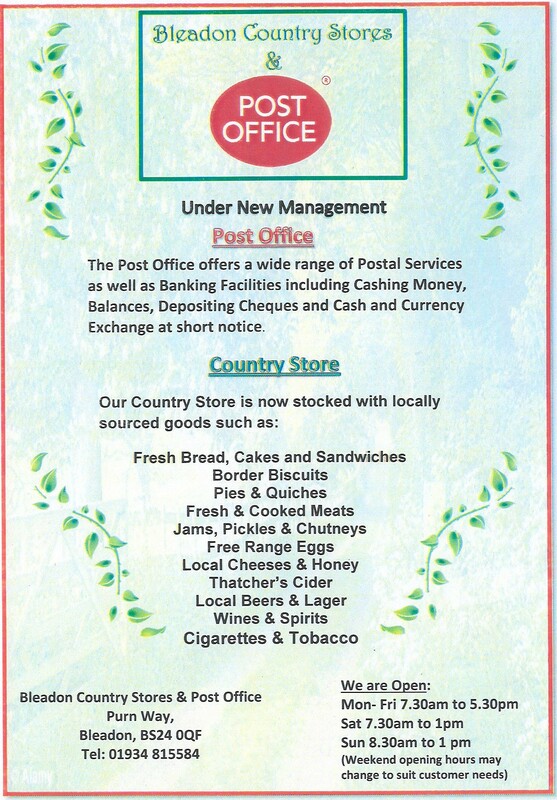 The Post Office and Country Stores are now under new management offering a wide range of Postal Services, Banking Facilities and locally sourced goods. 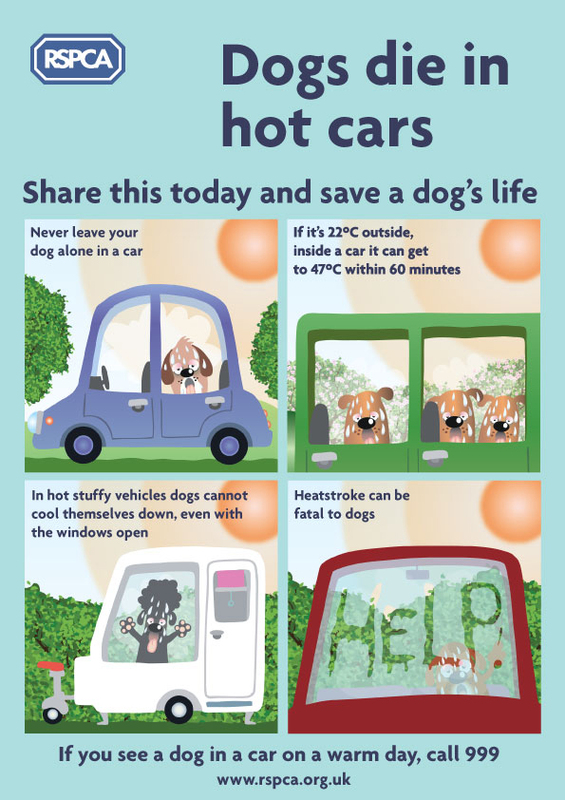 RSPCA Poster advises do not leave a dog alone in a car, especially in this hot weather.